Walter G. Moss is a professor emeritus of history at Eastern Michigan University. 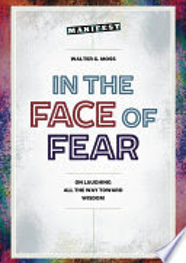 He is a Contributing Editor of HNN, and his latest book is In the Face of Fear: On Laughing All the Way Toward Wisdom ( 2019). For a list of other recent books and online publications, click here. 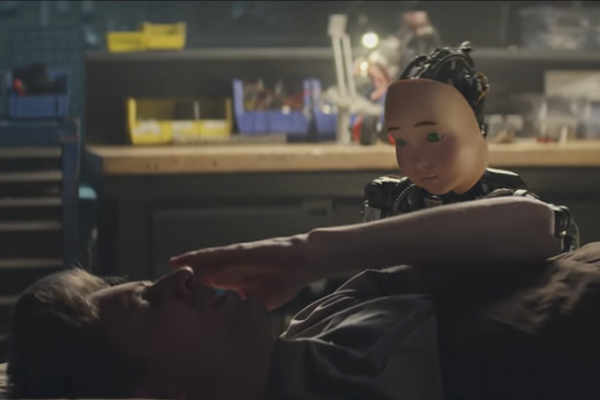 In a recent Turbo Tax ad, a man is frustrated with a "Robot Child." Government shutdowns. Brexit. Weird climate happenings. Dissolved arms agreements. Parents unable to control their teens' smartphone apps. Super Bowl ads that reflect “technological dread.” It seems harder than ever to understand and manage life. What is real and what is not? Who knows? Our inability to distinguish between reality and fake Russian Internet postings helped elect Donald Trump. In his two subsequent presidential years he has constantly complained about "fake news," but has himself fabricated more than 8,000 falsehoods. If things are more out of control than previously, how did we get in such a mess? Main answer: Our inability to wisely manage accelerating technological changes. But wait a minute. Do we not have more control over our world than in earlier times? Some optimistic scholars like Steven Pinker, in Enlightenment Now: The Case for Reason, Science, Humanism, and Progress would argue that we do. And it is true that we are less at the mercy of nature, diseases like the terrible Black Death, and political and religious authority than we were in medieval days. In many ways, reason and science, as Pinker argues, have made people “healthier, richer, safer, and freer, [and] more literate, knowledgeable, andsmarter.” Moreover, Nazism, communism, and colonial imperialism are not the scourges they once were. But there is a serious problem that Pinker fails to acknowledge. Scientific advances and the eighteenth-century Enlightenment freed humans from many restraints, including religious, political, and mental ones, but presented no unifying goal for them to seek. Since then, various movements such as communism have attempted to fill the emotional needs once offered by religions, but these secular substitutes were deeply flawed and failed. And capitalism’s goal of maximizing profits has also been an insufficient ultimate aim. Reaction to the dislocations and anxieties created by globalizations are one of the main reasons for the rise of populist movements in Europe and the United States, including Trumpian populism, as well as Trump’s “America First”—ism. In this midst of all this pessimism, a more optimistic outlook appeared toward the end of last year, psychologist and futurist Tom Lombardo’s valuable Future Consciousness: The Path to Purposeful Evolution. He believes that to create a better future “we need to feel that we are approaching a positive future, and not just that we are defending against an anticipated negative one, such as some great ecological catastrophe and the collapse of human civilization.” Yet, he also realizes that to prudently manage technology and create such a future we need to develop “a core set of character virtues, most notably and centrally wisdom.” Whether we will do so is an open question, but past decades do not give us great grounds for hope. At present, the United States and the world in general seem to be spinning out of control, with climate change especially threatening our collective future. Political wisdom is rarely demonstrated, especially by our own foolish president. Even columnist Thomas Friedman, an early champion of globalization, now fears that “recent advances in the speed and scope of digitization, connectivity, big data and artificial intelligence” are coming faster than ever, but our ethical abilities to manage such changes have lagged far behind. Although wisdom is sometimes demonstrated—for example, by Pope Francis on capitalist failings and climate change—it is too rarely evident. What the world needs more than ever are wise political leaders who can redirect technology to serve the common good. In the 1930s, Franklin Roosevelt refashioned government policies to that end. Controlling and redirecting today’s technology will require even more wisdom.